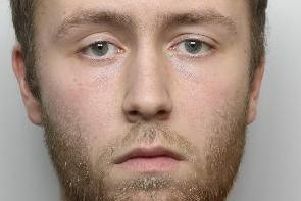 A Doncaster dealer has been jailed for over four years after police found £15,000 worth of heroin, cocaine, MDMA, cannabis and spice in his flat. Officers found the drugs after raiding 20-year-old Mitchell Cooley’s flat in Shetland Gardens, Intake, last October. He was sentenced to four-and-a-half years behind bars after pleading guilty to possession of drugs with intent to supply. PC Mark Roostan said: “Large quantities of Class A drugs were recovered from Cooley’s flat, estimated at having a combined street value of over £15,000 and I’m pleased that we’ve been able to remove these from the streets of Doncaster.